But since Google and other major search engines consider the number of incoming links to your website (“link popularity”) as an important indicator of relevance, more links will help you rank higher in the search engines. Google has a measure called PageRank that reflects the quantity and quality of incoming links. All links aren’t all equal. Links from trusted, popular websites help your website rank higher than links from lower traffic websites. 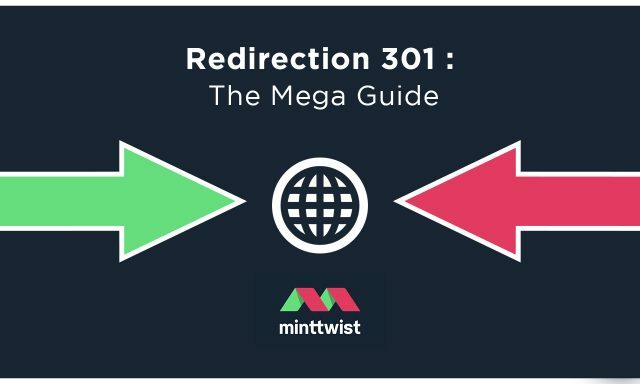 Submit Your Site to Key Directories, since a link from a directory will help your ranking — and get you traffic. A directory is not a search engine. Rather, it is a hierarchical listing of websites sorted according to category and subcategory. Be sure to list your website in the free Open Directory Project, overseen by overworked volunteer editors. But if you don’t get listed right away, don’t be impatient and resubmit, or you’ll go to the end of the queue. A link in this directory will help you a lot. Yahoo! Directory is another important directory. Real humans read submission, so be careful to follow the instruction given. Hint: Use somewhat less than the maximum number of characters allowable, so you don’t have wordy text that will tempt the Yahoo! editor to begin chopping. Yahoo! Directory Submit requires a $299 annual recurring fee to have your website considered for inclusion within seven business days. Other paid business directories that might help are About.com and Business.com. Submit Your Site to Trade Organization Sites and Specialized Directories. Some directories focused on particular industries, such as education or finance. You probably belong to various trade associations that feature member directories. Ask for a link. Even if you have to pay something for a link from the organization, it may help boost your PageRank. Marginal directories, however, come and go very quickly, making it hard to keep up, so don’t try to be exhaustive here. Beware of directories that solicit you for “upgraded listings.” Unless a directory is widely used in your field, a premium ad is a waste of money — but the (free) link itself will help boost your PageRank and hence your search engine ranking. Request Reciprocal Links. Find websites in your general niche and request a reciprocal link to your website. Develop an out-of-the way page where you put links to other websites — so you don’t send people out the back door as fast as you bring them in the front door. Your best results will be from websites that generate a similar amount of traffic as your own website. High-traffic website webmasters are too busy to answer your requests for a link and don’t have anything to gain. Look for smaller websites that may have linking pages. Check out Ken Evoy’s free SiteSell Value Exchange. It (1) registers your website as willing to exchange links with other websites that have a similar theme/topic content and (2) searches for websites with similar topical content. Additionally, two automated link building software programs stand out — Zeus and IBP Link Builder. Both of these search the web for complementary websites, help you maintain a link directory, and manage reciprocal links. However, use these programs to identify the complementary websites, not to send impersonal automated e-mail spam to website owners. When you locate websites, send a personal e-mail using the contact e-mail on the website or to the administrative contact listed in a Whois Directory. If e-mail doesn’t get a response, try a phone call. Warning: Only link to complementary websites, no matter how often you are bombarded with requests to exchange links with a mortgage website that has nothing to do with your teddy bear store. One way Google determines what your website is about is who you link to and who links to you. It’s not just links, but quality links you seek. Reciprocal linking as hard, tedious work, but it doesn’t cost you a dime out of pocket! Keep working at this continuously, a little bit at a time. Patience and persistence will get you some good links, so keep at it. Write Articles for Others to Use in Websites and Newsletters. You can dramatically increase your visibility when you write articles in your area of expertise and distribute them to editors as free content for their e-mail newsletters or their websites. Just ask that a link to your website and a one-line description of what you offer be included with the article. This is an effective “viral” approach that can produce hundreds of links to your website over time. You’ll find lots of information on how to do this from the most popular article marketing website, EzineArticles.com. When you create a free membership account, they begin sending you instructions and ideas each week. Issue News Releases. Find newsworthy events and send news releases to print and Web periodicals in your industry. The links to your website in online news databases may remain for several months and will temporarily improve traffic to your website and increase link popularity. Use a online news release service such as PR Web. Placing your website URL in online copies of your press release may increase link popularity temporarily. We have brilliant digital marketing and website design ideas here. Say hello@minttwist.com or @MintTwist.